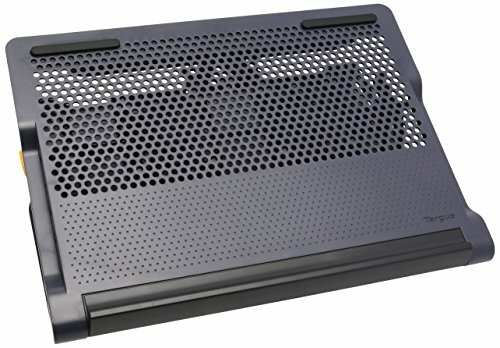 Turn your laptop into a workstation with the Targus Chill Mat+ with 4-port Hub. The Chill Mat+ combines a Chill Mat with all the important things you need when working at a desk. Dual fans keep your laptop cool, a 4-port hub allows you to connect all your peripherals, plus the adjustable height allows you to use it as a laptop stand. Use it flat, or at the highest setting (4") with an external keyboard for better ergonomics. To keep all your cables organized, Velcro straps help you keep everything nice and neat. The Chill Mat+ with 4-Port Hub is the ideal solution for owners looking to get the most out of their laptop.